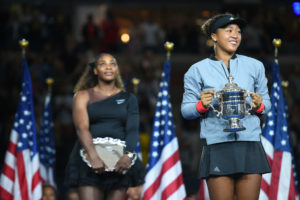 Luke Jensen says that Australian Open finalist and reigning US Open champion Naomi Osaka is set to become the 'next Serena Williams' as the 21-year-old closes in on a second major title. 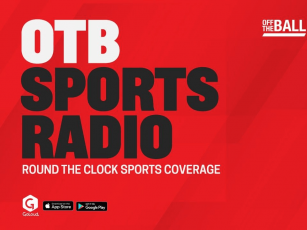 Speaking on Thursday's Off The Ball, the former French Open champion highlighted aspects of Osaka's game that have striking similarities to the features which made Williams an all-time great. "Naomi Osaka really is the next Serena Williams, she is the real deal," he said. "When I say that, watch her demeanor. "Watch her temperament, not when things are going well, but when things are not going well. When she's missing shots, when things aren't going well. "It's how champions define themselves. Under pressure, when things are going the wrong way and how they use their talent both physically and mentally. "I'm more impressed by that temperament more than anything else." Naomi Osaka poses with her trophy after the US Open final. Jensen said he also expected Osaka to go on and beat Petra Kvitová in the Australian Open final, citing her experience and shot selection as key differences between the pair. "Yes I expect her to win [the Australian Open]. Kvitová has not lost in 2019, she is riding this unbelievable wave, but when you watch her she's nothing but offense. "Osaka has the defensive components of speed and shot selection. When she's in a corner, she's just not going for winners. "Watch how Osaka is able to absorb punishment from Kvitová racket, redirect it and put her on the defensive."